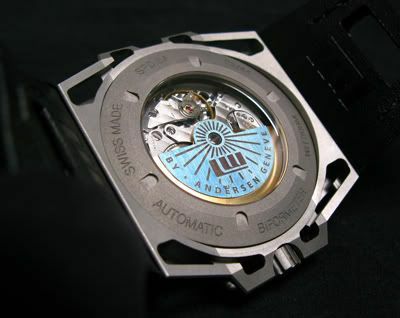 Linde Werdelin is making fame for the last 6 months here at FratelloWatches. Between the lunch I had with Linde Werdelin’s managing director and their marketing manager in London and becoming so enthusiastic about the brand and ordering one myself (a 3-timer with brown dial) sat only a 2 or 3 months. The introduction of the new models I received during my visit to the Linde Werdelin booth at BaselWorld was overwelming, especially after seeing and trying the 3-timer. Now, a few months after the introduction of their new LW models in BaselWorld, they not only started distributing the new SpidoLite models (with funky looking blue gold rotors) but LW also unveiled the new Hard Black DLC II watches. 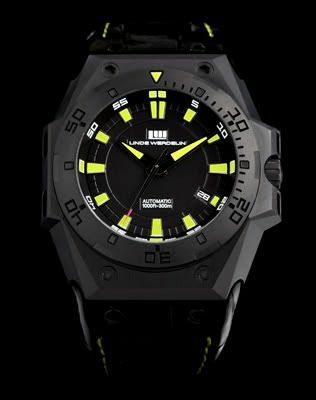 As I suggested before, that Linde Werdelin watches would be the perfect companion for James Bond’s adventures, this new Hard Black DLC II would suit him best probably. The way James Bond solves his problems as a secret service agent, his watch should better be scratch proof! The watch case of the Linde Werdelin Hard Black DLC II is three times harder than stainless steel and second to diamond in terms of hardness. How is this possible? Well, before the case undergoes a blast of 1/1000th of a millimeter of carbon to create the DLC coating, the watch case is being prepared in such a way that the applied DLC coating does even a better job making the watch case coating tougher than ever. 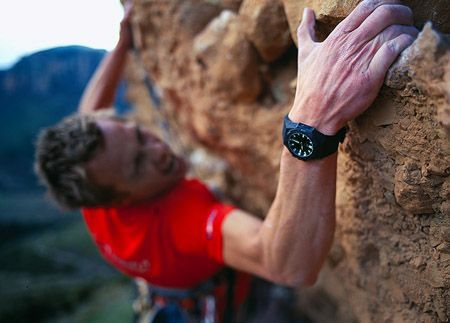 Leo Houlding, British rock climber and base jumper, has been putting the first Hard Black DLC watch to the test during his climbing of the Riglos (Spain) and in Yosemite (US). Friend of the show, Kristian Haagen, also has one of the first Hard Black DLC’s and is very excited about this time piece. I have to admit that the Hard Black DLC II reminds me a bit about AP’s Royal Oak Offshore models with the heavily stitched straps and bright dial colors, but the case design is definitely different (although I like both) and I don’t think they necessarily bite eachother. This 46mm (w) by 49mm (l) by 12mm (h) watch is being powered by an ETA 2892-A2 movement (which doesn’t need any further introduction I’ll assume). The watches comes on a black leather alligator strap and the clip-on instruments called The Reef and The Rock will perfectly go together with this watch of course. This Euro 4920,- watch will be produced in a limited number of 88 pieces and is now available at LindeWerdelin.com for pre-order.